﻿ Electric Auto Jack,Electric Scissor Jack,Electric Leveling Jack,Electric Jack Manufacturer,Supplier,Factory - Cnjacks Enterprise Co., Ltd.
Electric car jack , electrical wrench is useful for driver who meets the flat tire in trip . It makes the replacing tire job easy and fast ! The merit of this product : operate simply , don't need to shake hardly the car jack by hand , you just need to insert the plug of the electrical car jack into the car lighter , then press the switch to jack the car easily . The design is scientific , small compact and portable ! The replacing tires job is difficult , but with the electric car jack , the job will be easy and simply . Electrical car jack is especially suitable for lady , fatness and tall people ! Cnjacks electric jack/electric scissor jacks are perfect for trailers, ATVS-UTVS, small cars, small light trucks and golf carts etc. 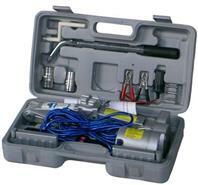 Cnjacks electic auto jack is a complete on-the-road auto service kit. 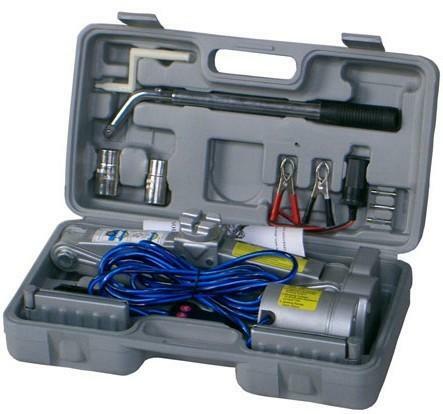 The 12V electric leveling jack lifts vehicles up to 3T, and comes with an electric 12V impact wrench.All parts and accessories containered in a single kit that allow you to change tire, snow chains or perform simple repairs without all of the effort required with a munnal jack.